For the uninitiated, Dubai might seem like a rather mysterious destination, but those in the know will tell you how accessible it is, and talk up the many wonderful things there are to see and do. 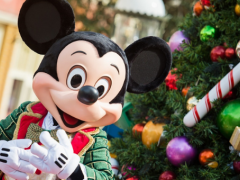 While picking up some Orlando theme park tickets might seem like the obvious option for families, a trip to Dubai should certainly not be dismissed. To help you get the best out of Dubai, we have put together a selection of top tips to help you navigate and enjoy this fascinating part of the world. Small children are more than welcome in the UAE and indeed Dubai, and the city is actually a very family-orientated environment. Visitors will find that the larger hotels have a nice selection of children’s meals, and this is particularly true when it comes to room service. Parents should note that it is unusual for very young children to eat out at night, but they are often welcome depending on your chosen destination. It’s a good idea, however, to call ahead and make sure that your chosen restaurant is appropriate. Dubai is replete with fun activities that kids can enjoy, some are included in five-star hotels, and certainly at amusement parks and other popular public areas. You are also likely to find that kids under the age of 12 will qualify for discounts at museums and other entertainment attractions. To help you truly appreciate the environment you are in, a visit to the Burj Khalifa Observation Deck, also known as At the Top, is a wonderful idea. While this is a very touristy option, there are no better views on offer than right here and it will provide some fantastic photography opportunities for your holiday scrapbook. 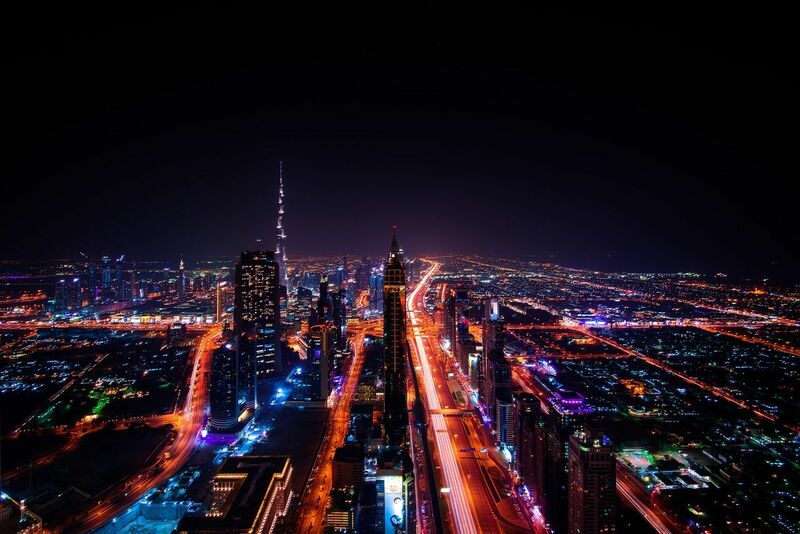 “At the Top, Burj Khailfa, the region’s most-visited attraction by Emaar Properties, offers spectacular views of the city and beyond from the world’s highest outdoor observation deck. 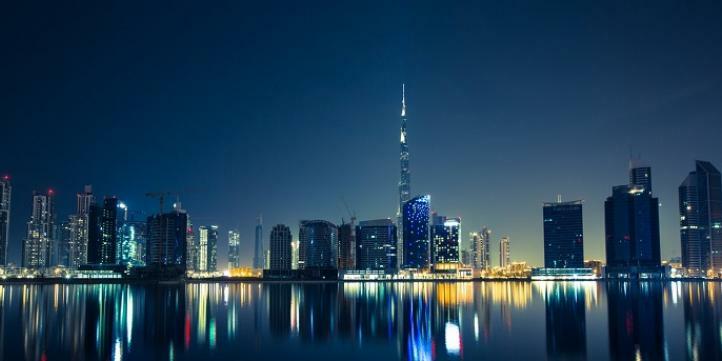 “Described as both a ‘Vertical City’ and ‘A Living Wonder,’ Burj Khalifa, developed by Dubai-based Emaar Properties PJSC, is described as a ‘Global Icon’ by the Council on Tall Buildings and Urban Habitat. 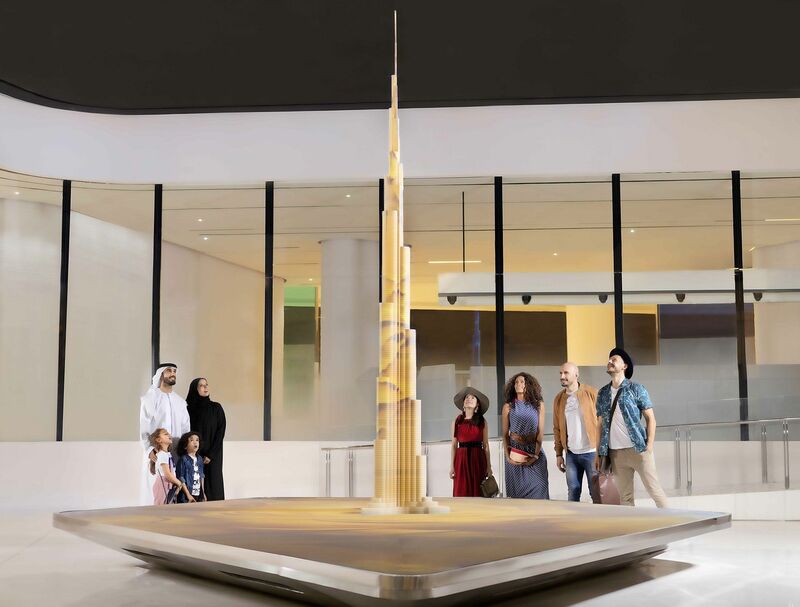 “Rising gracefully from the desert, Burj Khalifa honours the city with its extraordinary union of art, engineering and meticulous craftsmanship. “Located in the heart of the prestigious Downtown Dubai is The Dubai Mall, the world’s largest and most-visited retail and entertainment destination, which welcomed more than 80 million visitors in 2014. 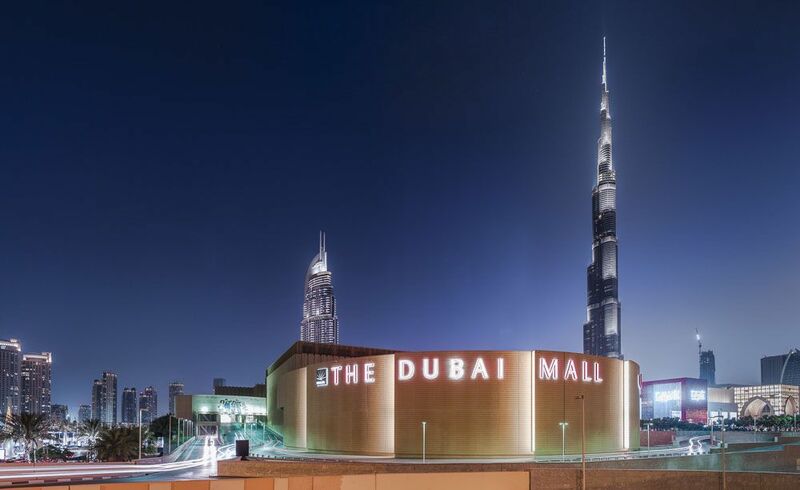 “The Dubai Mall is an integral part of Downtown Dubai, and is the flagship mega-project by Emaar Properties. At 12 million sq ft, the mall’s total area is equivalent in size to around 200 soccer pitches. The Dubai Mall also features numerous high profile attractions to enjoy, such as the world-class Dubai Aquarium & Underwater Zoo (which features thousands of aquatic animals as well as a 270-degree walkthrough tunnel). 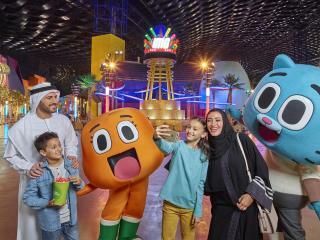 For those in search of family entertainment, KidZania – an innovative children’s ‘edutainment’ concept – is on the site, as is the Reel Cinemas megaplex, as well as the Dubai Ice Rink. For visitors looking for somewhere special to stay during their time away, the Dubai Mall also has an adjoining 5-star premium hotel: the Address Dubai Mall. Away from the mall, and for a more low profile shopping experience, visitors should be sure to check out Dubai Creek, known as the original heart of the city, and a place where various traders assemble from across the Middle East. Lots of haggling can be enjoyed here and chances to pick up some wonderfully unique gifts and trinkets. Dubai is also known for having a thriving culinary scene, with numerous top dining destinations available. There are many high profile and fancy restaurants that can be enjoyed for a special occasion, such as At.mosphere Burj Khalifa which sits high up in the world’s tallest building. Frying Pan Adventures are certainly the people to see for great eating experiences and are right to highlight old Dubai. 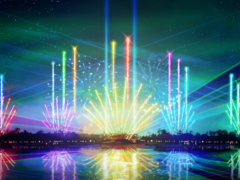 With all that is on offer in this part of the world, it really depends on what the visitor is looking to experience as Dubai will certainly be able to accommodate. “Tour Both Old Dubai and New Dubai - Visit the markets (gold market, spice market) in Deira, which is part of Old Dubai, and then check out the skyscrapers and towers in Downtown Dubai and Dubai Marina (New Dubai). 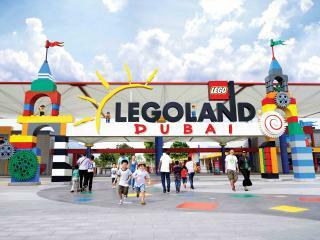 “What you would pack would depend on the weather of Dubai and the activities that you're going to do. “For the summer season: sunglasses, sunblock and light shirts and dresses. The summer season can be extremely hot (as much as 50 degrees Celsius) so most of the time, you'll likely stay indoors (in malls). “Winter season temperatures can drop as low as 10 degrees Celsius. Depending on your tolerance, you can bring a light jacket or sweater at most as it gets chilly during early mornings and night time. One of Dubai’s most exciting attractions for families is Aquaventure Waterpark at Atlantis The Palm. This 42 acre tropical waterpark is replete with thrilling rides and some rather stunning waterfalls that will provide families with a truly awesome day out. Aquaventure Waterpark includes multiple water slides, river rides, a shark safari, relaxing beaches, a kids’ play area, and much more. 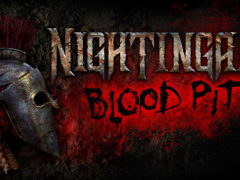 So, if members of your party are seeking a more relaxing time and others some top thrills and spills, there is something for everyone. One of the park’s signature attractions is known as The Leap of Faith, a 9 storey tall mega-slide with a near-vertical drop. 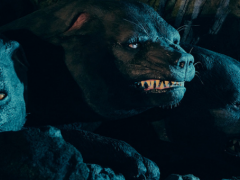 This is not for the faint of heart but absolutely something the braver members of your troop will remember fondly. 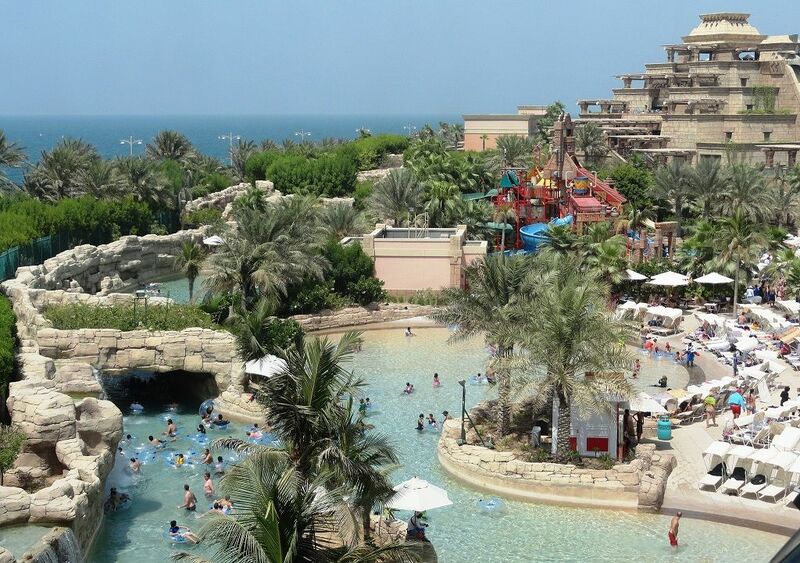 Aquaventure is open throughout the year and is found on the spectacular looking Palm Jumeriah. Dubai is of course a Muslim country and as such there are indeed certain rules as regards to women and what constitutes appropriate behaviour. One of the things to be aware of is that women travelling alone is quite rare in this part of the world, so don’t be too surprised if you find that you attract a little attention. For those that desire, there are private beaches for many of the five-star hotels, which tend to be among the most welcoming environments. It is advised not to wear tight or revealing clothes away from beaches, clubs and resorts, especially in more rural areas. Dressing modestly is a good rule to go by, and this goes for men too. Visitors should refrain from being drunk in public places, as while alcohol is legal in Dubai, public drunkenness is prohibited. Couples will also want to stay away from public displays of affection, which are seen as offensive in the UAE. Try to avoid holding hands and kissing in public spaces, enjoy each other’s company of course but be sensitive to your environment. As touched on by Edcel, Dubai in the summer is scorching hot so it is recommended to plan your visit for the cooler months. It can get up to 55 degrees Celsius in the shade which can be almost unbearable for anyone not used to such extreme heat. It is certainly advised to visit between November and March for a much more comfortable experience. Ready to start planning your holiday to Dubai? 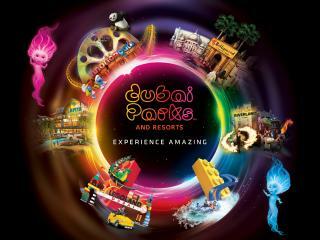 Click here, to view our entire range of Dubai attractions. 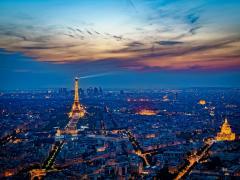 Paris has a plethora of exciting things to see and do during daylight hours and nights in the city are just as impressive.